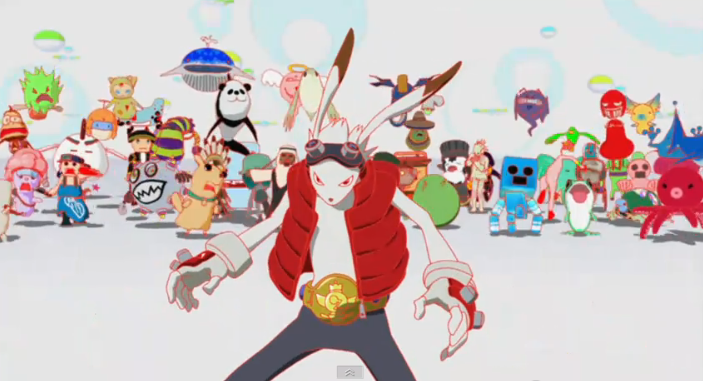 When I first watched Summer Wars around a year ago, I thought it was a bit of a mess. A good mess, let it be said, and a very entertaining one, but still a mess. It's a film impossible to compare to a single other such are the variety of influences. You have hints of the Matrix, Tron, Tokyo Story and all those Hollywood rom-coms where a guy pretends to be a girl's fiance for some reason. Even though it predates it, there's strong thematic hints similarities to The Social Network in there too. We're dealing with a family drama, a broad comedy, a sci-fi action film and a romance. The pace and tone are suitably frantic. I still preferred it to director Mamoru Hosoda's lovable if slight debut The Girl Who Leapt Through Time, but I didn't give it a lot of thought after watching it. The fact that I saw it at the tail end of a weekend long anime binge - alongside the two stunningly brilliant and mind-bending Rebuild of Evangelion movies - probably added to my personal sense of exhaustion. Yet it clearly had an effect, as a few months ago I got a powerful urge to watch it again. Finally learning how to play Hanafuda 'Koi-Koi' - the traditional Japanese card game that is a central element in the film's genuinely exciting climax - was partially to blame. I was looking forward to seeing how the now familiar rules of the game were integrated into a crowd-pleasing sci-fi film. However, the first time the characters sit down to play a game of Koi-Koi early in the film, it finally clicked in my head what exactly Hosoda's dastardly plan with Summer Wars was. Let's step back a bit first. The plot of Summer Wars revolves around Kenji and Natsuki. 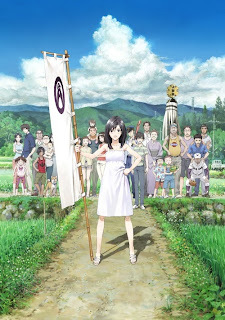 Popular Natsuki invites the nerdy but deeply intelligent Kenji along to her family's countryside home to celebrate her great-grandmother's 90th birthday party. The condition - only revealed to Kenji after the fact - is that he has to pretend to be Natsuki's boyfriend / fiance when in the company of Natsuki's colourful family members. Alongside this quirky family comedy/drama is a sci-fi film that kicks off when Kenji accidentally gets embroiled in a major hacking incident in social network OZ: a mesh of email, facebook and online gaming. Brought to life with vivid computer generated imagery and a wide variety of inventive avatar design, Kenji and Natsuki's family get embroiled in the attempt to stop sentient AI 'The Love Machine' from shutting down the world's online infrastructure. Phew. If the plot sounds unwieldy, that's because it is! It can switch from belly-laughs to moments of melodramatic intensity in mere moments. It moves at a frantic pace, initially especially as we're introduced to Natuski's quirky extended family (all of whom will ultimately have a part to play in the film's action). The huge amount of both real-life and virtual characters is tricky to take on board, but it's all done with tongue firmly in cheek, evident during a very funny dinner table introduction sequence. Visually, it's gorgeous especially in high-definition. The animation sparkles with detail, from incidental things like Tokyo subway signs to the hilarious way Kenji turns bright pink when embarrassed. All the character designs are extremely rich. The real visual treasure of course lies in the heavily stylised world of OZ, but even the scenes set in rural Nagano are some of the most pleasantly colourful in contemporary animation. It'd be hard to completely miss the thematic focus of traditional values vs contemporary technology first time around, but watching it again it became evident how deeply ingrained into the plot it was. This is organised chaos - everything actually has a sort of order to it, even if the pacing sometimes can't keep up with it. It's what makes the film something more than merely thoroughly enjoyable. On one hand we have the hyperactive world of OZ, alongside Natsuki's old and once-samurai family. It's the culture clash - an understandably recurrent theme in Japanese cinema - that makes watching Summer Wars so engaging. Most impressively, Hosoda refuses to completely dismiss either. Ultimately, it's a combination of the family's traditions and old contacts (represented through Granny's character) and new technology (one uncle manages to produce a massive computer server at short notice, while another shows up with a gigantic fishing boat to provide power) that is needed to try and save the day as the stakes are constantly raised. All of this becomes obvious during the film's epic climax. Spoilers ahead, by the way. When Natsuki goes online to challenge The Love Machine to a game of Koi-Koi to win back all the hijacked OZ accounts, it's a refreshing take on the conflict between old and new. Backed up by Kenji and her family's resources and technological wizardry, it all still boils down to the game Granny taught her to help save the family from certain destruction as a satellite hurdles towards their home. Summer Wars at that point emerges as an extremely confident union of genres. Bits and pieces may be overly melodramatic or inconsistently paced. Others are genuinely emotionally involving and laugh out loud funny. Mamoru Hosoda has created organised chaos that deserves to be seen by a wider audience. It's a film that doesn't condescend, and addresses well trodden themes with honesty and conviction. It's a careful deconstruction of technology while still embracing it - hell, it would be hypocritical not to given the reliance on CGI in the OZ sequences! - while never forgetting that it's sometimes best just to yell "Koi-Koi! ".